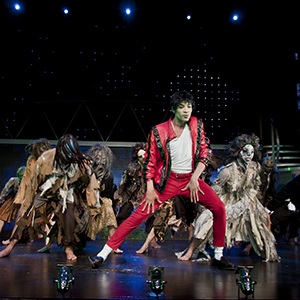 THRILLER - LIVE is rated 4.5 out of 5 by 31. Rated 5 out of 5 by delboy55 from very good show took my daughter for her birthday, excellent show. even got an upgrade when we arrived at the theatre. Rated 5 out of 5 by jimmyaleceddie from Best show by far! Better than expected. 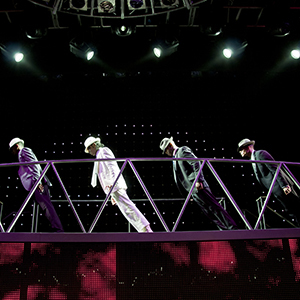 Non-stop entertainment, a real tribute to the legend himself MJ. Thoroughly recommend! Rated 3 out of 5 by Sweepst from Not the best Good dancing, throughout the show. The people who sat behind me didn't stop talking the whole of the show. Rated 5 out of 5 by Sue0 from Spectacular We thoroughly enjoyed the show, choreography, dancing, singing and costumes were amazing. Had me captivated from start to finish! The only thing I would make comment on was being in the balcony I felt for me it was too high up.